Home Creatine Creatine or Pre Workout – Which is Better? Creatine or Pre Workout – Which is Better? Creatine or a Pre Workout supplement – what’s gonna get me the best results? Find out here. Creatine supplements and pre workout supplements are completely different things in the world of athletics. 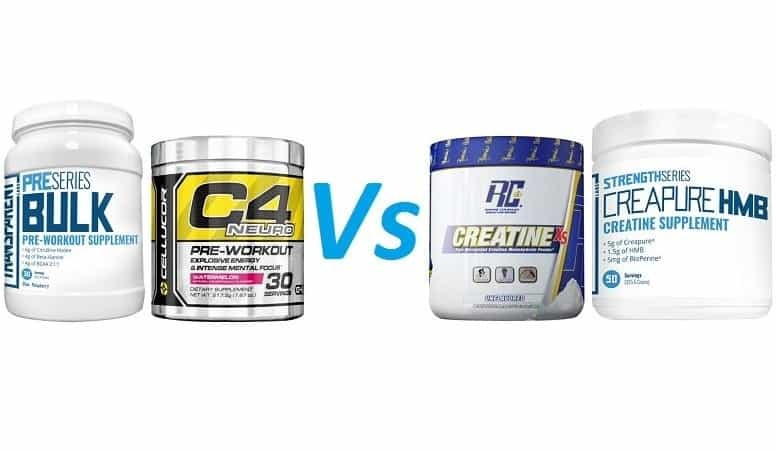 Creatine, is a strength and size promoting supplement; while pre workouts are performance enhancing supplements made up of many different things (often including creatine). You may be considering which of these supplements you should be taking to enhance your performance and results. Both have their benefits. Both are utilized by countless bodybuilders, athletes and dieters daily. Here, we’re going to quickly teach you about both of these supplements, and how they differ for you. Creatine, is a mass and strength building supplement. Pre workout is a combination of supplements that enhances performance through increasing energy, strength, and endurance. If you are looking for a supplement to give you more energy in the gym, then you are looking for a pre workout supplement. Alternatively, if you are looking for a simple supplement that will increase your strength and help you build more muscle – creatine is an equally advantageous supplement. Many pre workout supplements on the market contain creatine in them. In conjunction with pre workout supplements, creatine can pack a bunch of power. However, combining creatine with the stimulants contained within the average pre workout is not necessarily the best choice. Creatine doesn’t always uptake into the body easily. Caffeine makes it harder for creatine to uptake as well. These two conditions mean less creatine uptake plus the possibility of an upset stomach (it’s important to acknowledge that not digesting food is catastrophic to your gains). We explain it a bit more on our best creatine page (see above or the right sidebar…. At the bottom if you are on your phone!). Due to this double whammy, we recommend creatine be taken after your workout. This also plays well into your massive insulin spike post workout (super advantageous for food + creatine during this window). 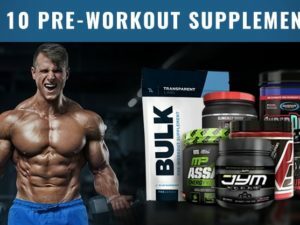 Caveat – There are pre workouts that do not contain caffeine or other stimulants, you can freely take creatine with these supplements without problem. Additionally, some people are built to be able to handle creatine + stimulants without any problems at all. We’re just discussing the masses. Both creatine and pre workout supplements are advantageous additions to a bodybuilders playbook. Of course, there are very different types of both these supplements out there on the market. Due to this, you can either get a winner or a loser. Luckily, if you are curious to learn more, we have tons of reviews, comparisons, and rankings for both creatine and pre workout supplements on this site. Additionally, we explore other supplements and even the physical/diet aspects of building muscle, raising testosterone, and burning fat. Just take a look at our top navigation bar to find more awesome and informative articles! Curious about creatine? You can view the creatine brands that we recommend here. Are pre workout and creatine supplements intended for those under 18 years old? No, we do not recommend or advise kids to take bodybuilding supplements. It isn’t always safe and undermines the general ethics of building mental and muscular strength. You’ve got to start off with just you and the weights! Can creatine and pre workout be taken every day? Typically creatine is taken every day, around 3-5 grams depending on body weight. However, pre workout supplements should only be taken on lifting days. More so, you really don’t have to take pre workout every time you lift. Instead, you take it when you want to. 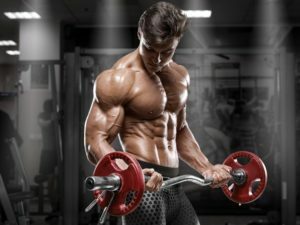 How much water for taking creatine and pre workout? Both creatine and pre workout supplements require a lot of water for maximal uptake. If you don’t take them with a lot of water, there isn’t anything for the powder to dissolve into and pass from inner intestine to body. Additionally, staying hydrated is a necessity if you’re going to gain the benefits of either supplement. Dehydration is the biggest performance killer. Never worry about diluting your pre workout. It’s not a bad thing. Can pre workout or creatine be taken before bed? Pre workouts and creatine may affect your sleep schedule. Generally, you don’t want to take a stimulant containing pre workout anywhere under 5 hours before you plan on going to bed. The caffeine and other stimulants can easily keep you awake. Alternatively, creatine can mess with your water levels, meaning a few more trips to the bathroom to pee at night. Both of these can be managed as you learn what works best for you.